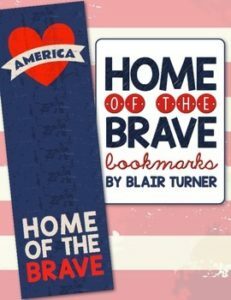 These “Home of the Brave” bookmarks are perfect for Veterans Day or any patriotic holiday. There are 4 full-color bookmarks per page. Click here to see other resources for November! Materials are licensed for personal use only.